After a whirlwind 48 hours in Los Angeles, I’m back in Philadelphia and my head is just reeling with everything that went on. 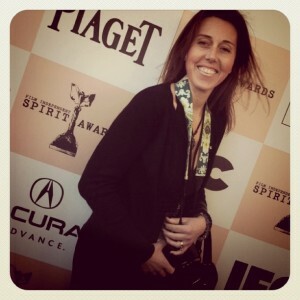 I was there for a trip with Aveeno as an Aveeno Ambassador and I attended the Independent Spirit Awards. More to come! I was within touching distance of Anne Heche, Nicole Kidman, Samuel L. Jackson, Mark Ruffalo and more. Crazy. « Congrats to our Leapfrog DVD Winner! You look as glam as those up for the awards!